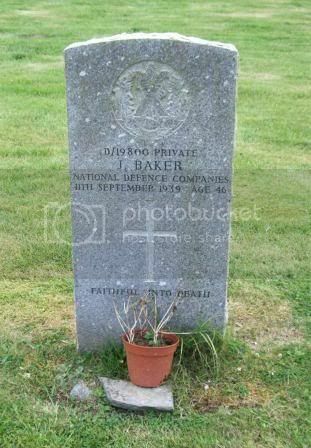 Additional information: Son of James and Christina Baker; husband of Henrietta Baker, of Fort Augustus. 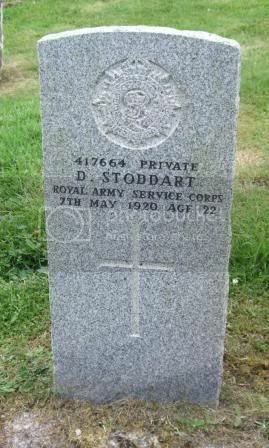 Additional information: Son of Peter and Mary MacDonald, of Fort Augustus. 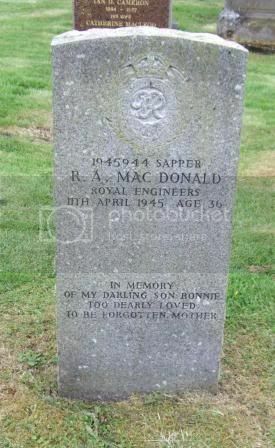 Additional information: Son of J. Macleod, of Daliburgh, Lochboisdale, South Uist, Inverness. Grave/Memorial Reference: 654. Near North boundary. 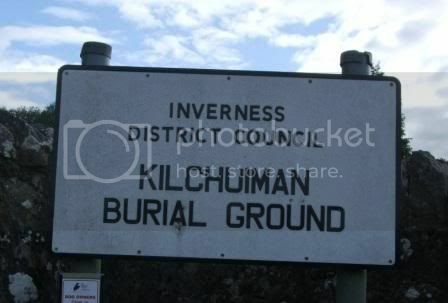 Additional information: Son of John and Margaret McKenzie, of 19, Glen Nevis Place, Fort William. Grave/Memorial Reference: 729. In South-East part. 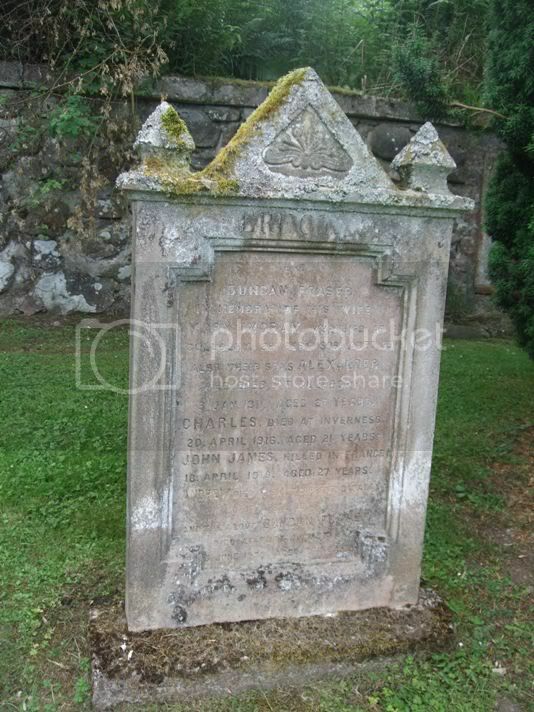 Additional information: Son of Hector and Mary McLean, of Market Hill, Fort Augustus. 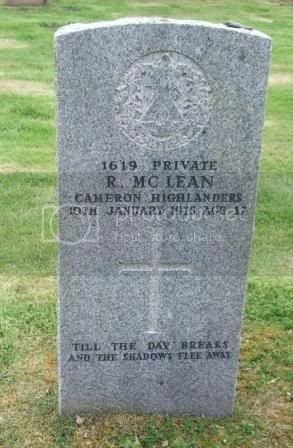 Grave/Memorial Reference: 392. In South-West part. Grave/Memorial Reference: 956. At East end. Unit Text: 100th Provisional Coy. 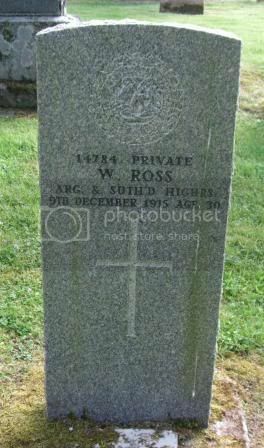 Additional information: Son of John and Sarah Smith, of Kinlochunagross, Fort Augustus. Grave/Memorial Reference: 84. Near West boundary. 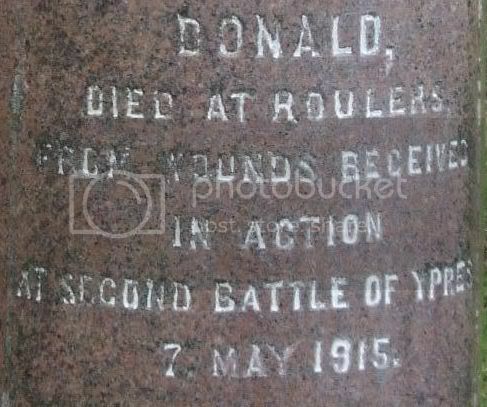 Additional information: Son of Angus and Annie McKenzie Stoddart, of Bruces Building, Fort Augustus. Grave/Memorial Reference: 234. In North-West corner. Unit Text: 10th (2nd Bn. The Rangers) Bn. 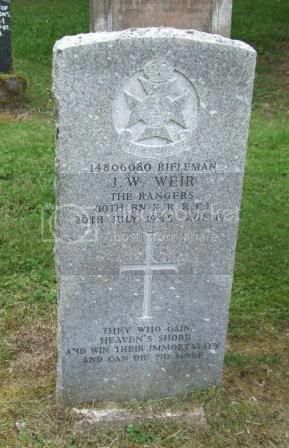 Additional information: Son of Mr. and Mrs. John William Weir, of Bernera. 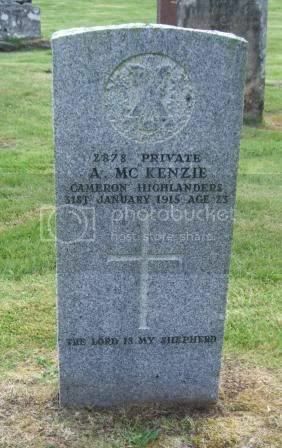 Additional information: Husband of Margaret M. Campbell, of 6, Pencoed Avenue, The Common, Pontypridd, Glam., Wales. 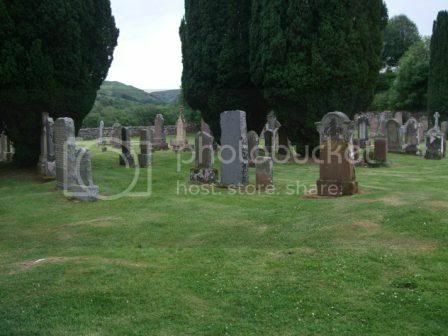 Grave/Memorial Reference: I. E. 4. 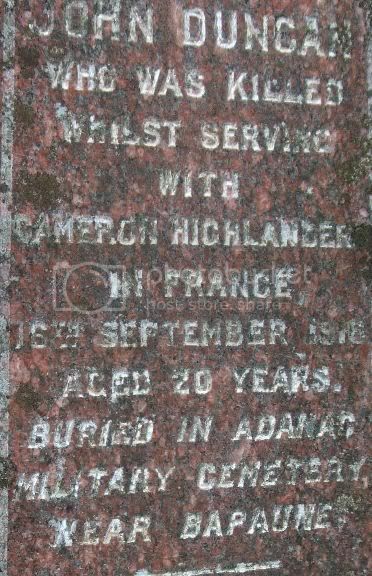 Additional information: Son of Mr. and Mrs. R. M. Campbell, of Fort Augustus, Inverness-shire. Grave/Memorial Reference: VIII. B. 14. Unit Text: 8th Field Coy. Grave/Memorial Reference: I. C. 35. 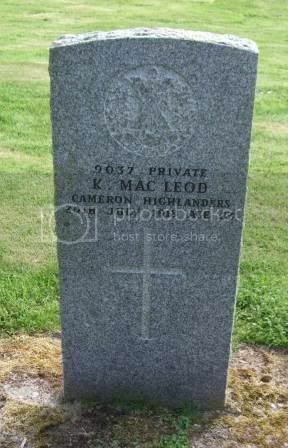 Additional information: Son of Charles and Margaret Grant, of 1, Lovat Terrace, Fort Augustus, Scotland. 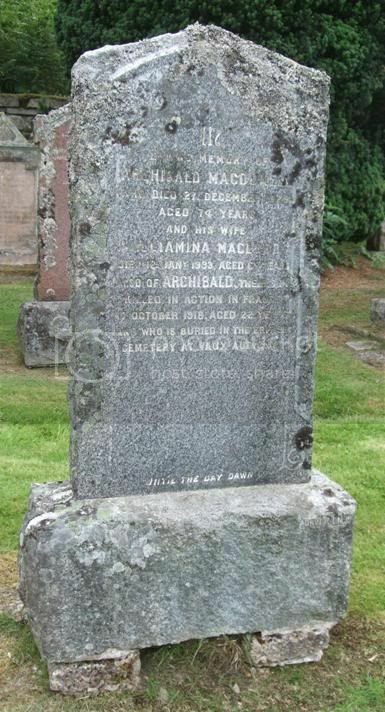 Additional information: Son of Archibald McDonell, of Woodbine Cottage, Fort Augustus, Inverness-shire.